Digital Mobile Spectrum Limited (DMSL), the company responsible for mitigating Freeview interference from 4G mobile networks has announced that its chairman, Andrew Pinder, died on Sunday 9 April. Andrew was 69 years old and had recently been diagnosed with cancer. Andrew was appointed by the Secretary of State for Culture, Media and Sport to set up and chair DMSL in 2012. DMSL was created to ensure the successful coexistence of 4G at 800MHz and digital terrestrial TV. Andrew had a distinguished career in both the public and private sectors. In addition to his role as chairman of DMSL, Andrew was also chairman of Market Operator Services Limited and the LED lighting company Finnergy. Andrew was on the board of Nominet, the official registry for .UK domain names, and until recently was the Implementation Trustee of the Open Banking Implementation Entity set up by the Competition and Markets Authority. Andrew was a past chair of PhonepayPlus (the UK regulator for premium rate and phone-paid services) and Becta (the British Educational Communications and Technology Agency). 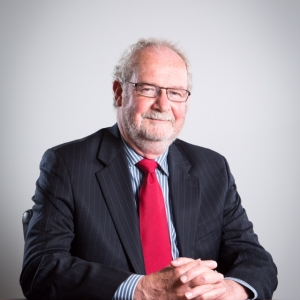 In the electricity industry, Andrew was formerly the independent Chair of both the Balancing and Settlement Code Panel, and Elexon Limited, its operating company.